Pathways to paradise! 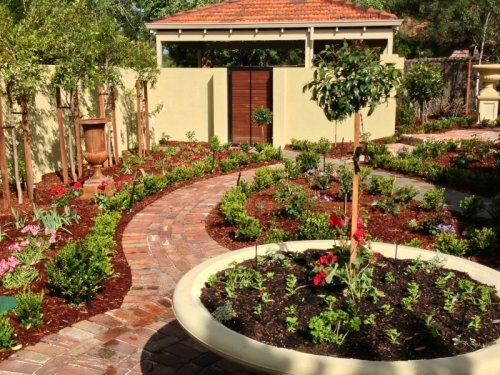 This romantic cottage garden was designed to bring a touch of European splendour to an inner Perth suburb. 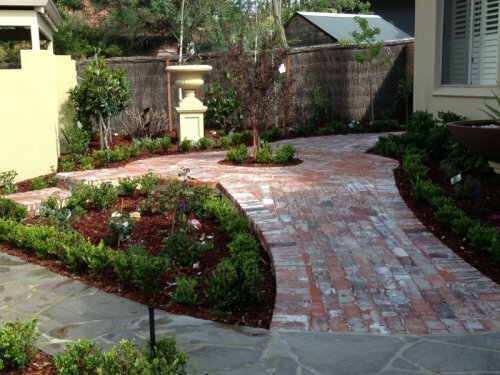 As the clients were inspired by visits to Europe and our award winning garden at Garden Week 2012, they comissioned GFE to renovate their overgrown front garden and rear courtyard. The elevated house position was screened from the busy road by large mature paperbarks, hibiscus and conifers that were untidy and consequently in need of replacement. 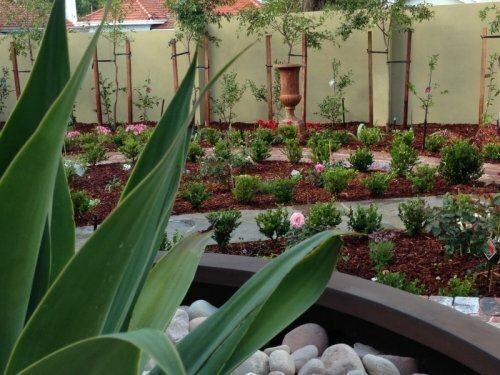 GFE designed and constructed a timeless solution by first removing the overgrown plants and trees before commencing work on the rest of the garden. 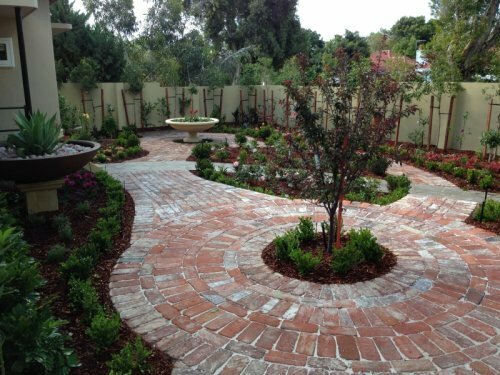 The house and exterior walls were rendered to tie the house and garden together, providing a backdrop for the new garden and planting. Existing recycled paving was relaid with additional paving and steps to match. 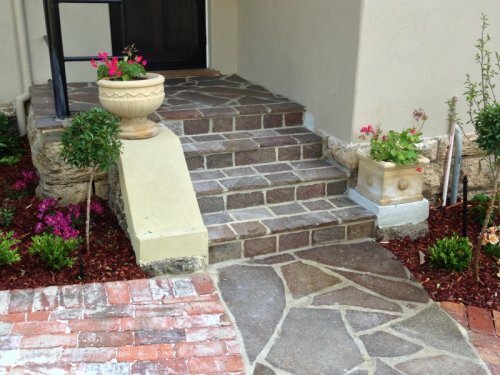 The original concrete footpath and tiled front entry were replaced with random crazy paving in natural tones to bring warmth and texture to the area. A classical but soft romantic feel was achieved with ornamental Formstone urns and a fountain bowl used as a planter for topiary, herbs and annuals. A rustic urn and a bowl on a plynth planted with a spectacular Agave provide focal points for the garden. A pleached lily pily hedge was used to screen the busy road underplanted with colourful camellias. The garden beds were bordered in box and filled with exhuberant coloured perennials , lavender, Hibiscus, Radermachera, roses and herbs. Topiary was used throughout to frame the garden and features. Flowering plums, silver birch and Magnolias createded a backdrop to the garden and provided dappled shade for the plants beneath. In the rear courtyard box hedging, topiary and a Formstone urn on a plynth added style and elegance, enhanced with colour from perennials and lavender.